VR is beautifully aligned with the goals of marketers. It engages your customers in a memorable experience that they will take away and share with others. The nature of VR makes the experience stick with the user longer and can create real behavioral change in the user. It is truly a powerful medium for persuasion. How does it achieve these effects? Immersion in VR is the concept that the user is fully engaged in the experience without the distraction of outside stimuli. You have the user’s full attention. And once you include other input options like hand-held controllers, your user gains a level of interaction that integrates them even more tightly into the experience. The immersive nature of VR makes it an extremely impactful experience. It can elicit real emotions and create behavioral change, a marketer’s dream. When a user interacts with a space in VR it’s as if they are actually visiting that location or environment. Their brain remembers it as something that actually occurred and was experienced not just seen. VR is a visceral medium that involves the mind and the body. This interaction of mind and body solidify the experience to a different degree than just looking at something in a 2-dimensional medium. This offers immense opportunity for a brand to deliver a memorable experience and create customer engagement and brand awareness. VR is not something people use everyday. Using it for the first time can be a very exciting experience. People remember things that are different and out of the ordinary. We are all craving something new and exciting. And if the experience is well executed, it can garner additional PR making for an exceptional earned media moment. When using VR for branding you want to think about how you can really use the medium’s strengths. Don’t use the same old design troupes of the 2D world. Remember to put elements all around the user and direct their eye using light, color and audio cues. Immersing the user in a new environment and setting them off on a journey of exploration is a great way to start. Remember that you don’t have to pound the user over the head with logos and mentions of the brand. VR marketing works best when expressing the culture of your brand and cultivating the aspirational elements of your brand in an immersive story. Major brands such as Coca-Cola, Ikea, Volvo (see above) and McDonald”s have had great success using VR as part of their marketing campaigns. In terms of length and scope, it is best to make the experience short and concise around 3-4 minutes long. This will also depend on the context of the use case. Expo and event uses work better in shorter spurts. Whereas a sales application can last longer. Shorter experiences give the user a crisp experience that can be executed well rather than trying to develop a sprawling experience that can falter in the execution. Expos and trade shows are an ideal place to launch your VR campaign. Whether you are using Desktop or Mobile VR, the VR experience will help you differentiate yourself from the packed expo floor of competitors. Preface the experience with supporting graphics and placards so users get a teaser to what they are about to see in VR. If you are using MobileVR you can create branded Google Cardboard devices that can be given away and used again, making for another branding opportunity. To reach a larger audience you can also launch the experience on YouTube’s 360 channel. 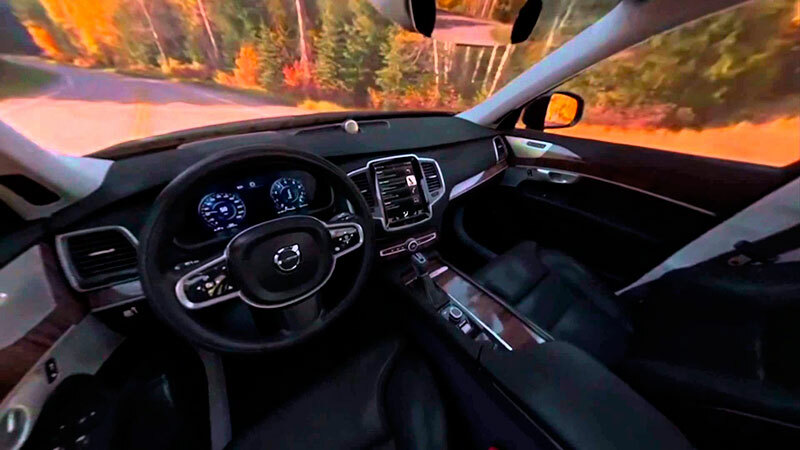 Reduce marketing expenses and speed up the sales cycle through virtual reality product visualization and virtual showrooms. VR is an ideal way to show off products in 3-dimensions. Spin the product around, look inside it, walk around it and call out its unique selling points. It gives customers a better feel for your product before they decide to buy. This is ideal for industries such as technology, retailers and automobiles. It increases awareness of the brand and lets the user experience the product before even going to a physical showroom. Instead of featuring the product, the branded narrative highlights a subtler component of the brand’s mission and message. It communicates the zeitgeist of the brand and why people are attracted to it. 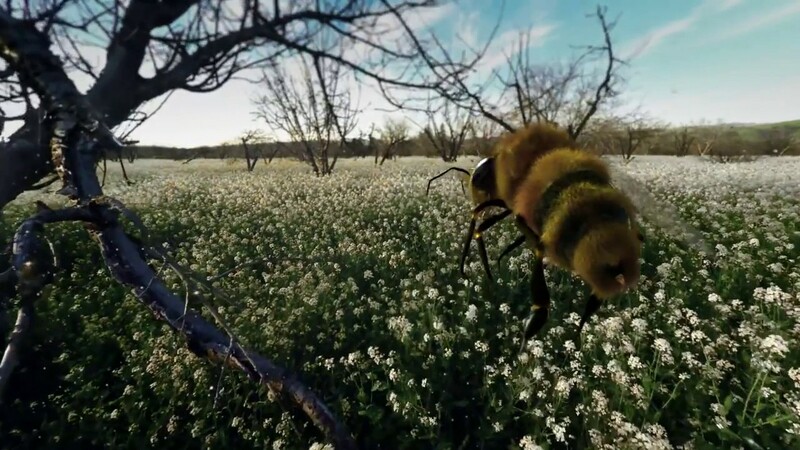 Using the inherent empathetic powers of the VR medium, Haagen-Das is developing a VR experience that let’s you fly along with a bee in order to understand the plight of the endangered insect. Shrinking the user down to the scale of the bee lets you understand from a bee’s perspective the peril it faces every day. The experience speaks to the culture of the brand and leads the user down a meaningful story that can potentially change the user’s behavior. The sell is very subtle. It’s more about the brand’s mission and culture than it is about selling ice cream. VR has an uncanny way of making you feel you are present in a new place whether it be real or imagined. It has the power to take the user places they could never go in real life. Taking the user on a journey through an environment is an exceptional way of telling the story and culture of your brand. Marriott Hotels transported their users to beautiful locations in their Marriott Teleporter app. It inspires the user to travel to new and exotic locations and to do so with Marriott. VR games hold the user’s attention and build brand awareness while being fun and entertaining. Ikea has created a unique experience that allows the user to walk around in a virtual kitchen, open and close drawers and even flip pancakes. You can change out different material finishes to experience the kitchen in various different color pallets and orientations. Many entertainment companies such as Sony and Disney have started developing VR apps to accompany the launch of their new movies. Absolute Vodka and Deadmau5 created an app to promote the newest Deadmau5 song and convey the lifestyle of a DJ producer. 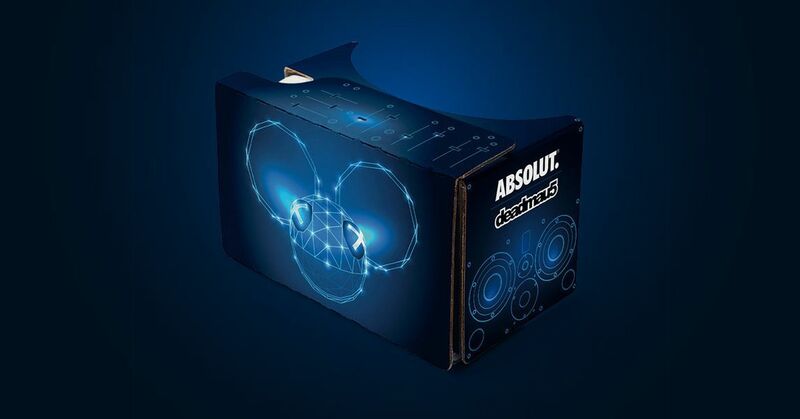 The user could also purchase an optional Deadmau5 branded Google Cardboard headset for another marketing plug. What’s great about an app is it can be downloaded by anyone onto a mobile phone. With a simple Google Cardboard Device the user can get a great VR experience, not as immersive as a Desktop VR device but still quite engaging. 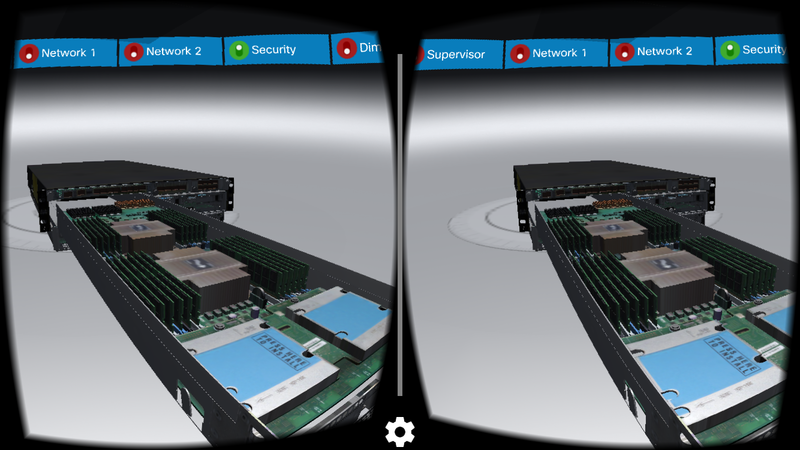 Learn more about the difference between Desktop VR and Mobile VR. Infographics are a mainstay in the B2B marketing field. VR holds the potential to spice up the typical statistic laden medium. 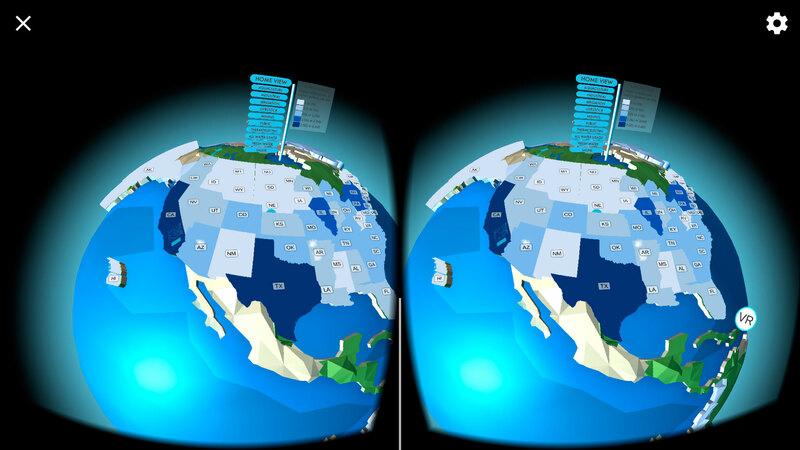 In VR, the infographic can be built out in 3D with corresponding environments to support the statistical evidence presented. The user can move from environment to environment visualizing each statistic with a corresponding interactive 3D model and information. Be careful not to rest on the novelty “that’s-so-cool” element of VR. In the end you need compelling, relevant content that communicates the brand and drives awareness and eventually sales. There is no doubt that the medium and technology of VR is still evolving. But even at its current state of maturity it delivers experiences that are unforgettable, educational and novel. VR solves an ongoing problem for marketers, that of maintaining engagement and awareness. By making your experience immersive, novel, impactful, interactive and tactile you have an opportunity to build some genuine customer loyalty and awareness. VR can be a powerful aspect to your marketing campaign especially when it part of a larger digital marketing campaign.